The Hochseeflotte, literally “High Seas Fleet”, was the main instrument of Kaiser Wilhelm II, well served by Grand Admiral Von Tirpitz, to fund and secure a colonial empire. To oppose the two major traditional naval powers, France and Britain, a fleet of exceptional tonnage was started from 1897. However the “Hochseeflotte” was only a part of the Kaiserliche Marine or “Imperial Navy”, the equivalent of the British Grand Fleet. German ships names were preceded by the title “SMS” for “Seiner Majestät Schiffe”, equivalent to the British “HMS”. <-(Left: The Kaiser, painted by Adolph_Behrens. The German Emperor was the true driving force behind the origin of the new fleet). Figures are particularly eloquent in this respect: The first Reich was founded in 1870, the then German fleet was limited to a motley collection of units inherited from various Germanic Kingdoms: 5 battleships, 5 heavy cruisers and 4 light. Work on began a first torpedo boat prototype in 1875. Its growth was slow and heavy units built before 1895 were mainly coastguard battleships, like in the Scandinavian fleets. The rise to power of William II in 1890, changed this, as he was significantly less inclined to follow the cautious voice of the famous adviser of his father, Otto Von Bismarck. He was not afraid of a direct confrontation with major powers, at sea as well. In 1890 there were 13 battleships, 23 Cruisers, 30 TBDs, 15 misc. ships. 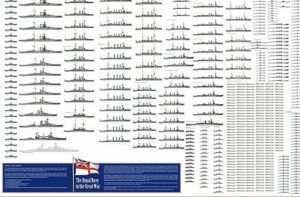 In 1914 these figures turned to 47 battleships, 57 cruisers, 143 destroyers, 91 TBDs, about 45 submarines and 6 misc. ships. Development of a fleet was a sine qua non condition to the new ambitions of the Reich. 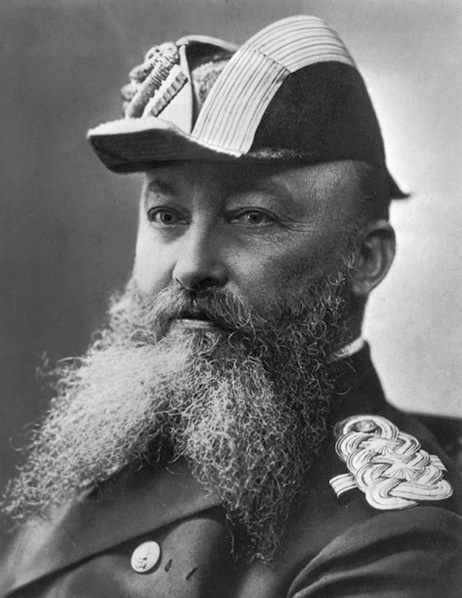 Von Tirpitz, appointed secretary of state in 1897, voted the next year the construction of 19 battleships, 8 coastal battleships, 12 cruisers and 30 light cruisers, all of which were pressed into service before 1903. Two years later, the project was extended until 1920, this time including 38 battleships, 14 heavy cruisers, 34 medium and light cruisers, and 96 destroyers. The Kiel Canal sea locks. A vital artery between the Baltic and North Sea for German ships. This dramatic rearmament plan was basically swapping from a coastal local navy to a global naval superpower. The only comparison nowadays is the formidable rise of the modern Chinese fleet. There were enough programs battleships, Dreadnoughts and battle cruisers to seriously challenge the Home Fleet, after raising an industrial might which in 1910 already surpassed which Britain dominance, making the old Empire to doubt his superiority. This was achieved in just 10 years, and in 1914 the Hochseeflotte arguably reached the world’s second rank. Never in history the German Navy was more powerful at this moment. 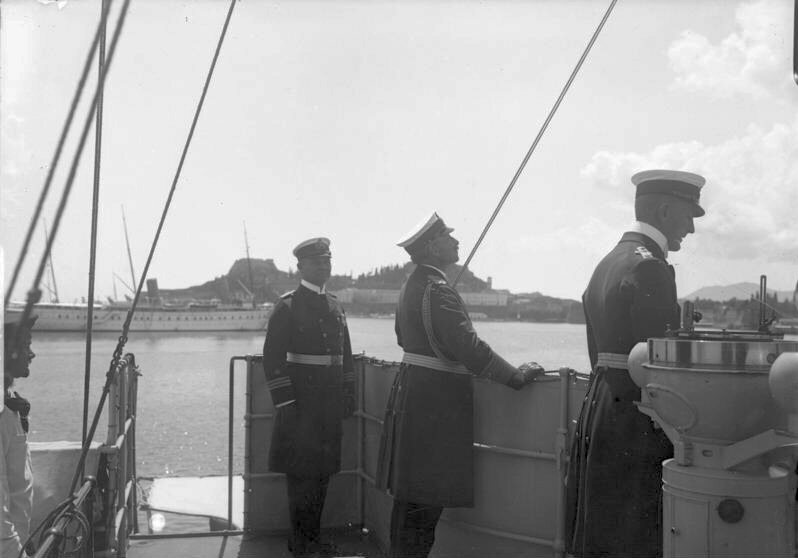 Kaiser Whilhelm II onboard SMS Geier. 8 coastal battleships of the Siegfried class (1890), 2 Brandenburg class battleships (1891), 4 Kaiser Friedrich III class (1896), 5 Wittelsbach class (1900), 5 class Braunschweig (1902), and 5 class Deutschland. SMS Posen, Nassau class battleships. 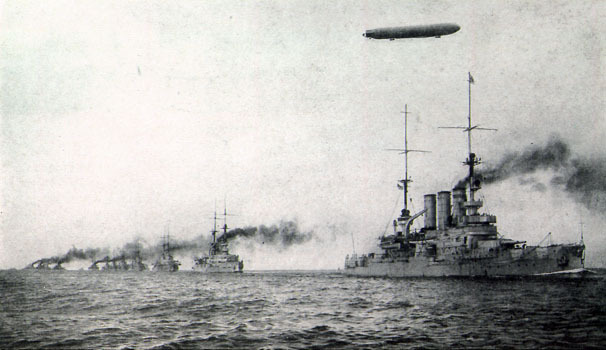 Four classes Nassau (1908), four class Helgoland (1909), and the five Kaiser class (1911). 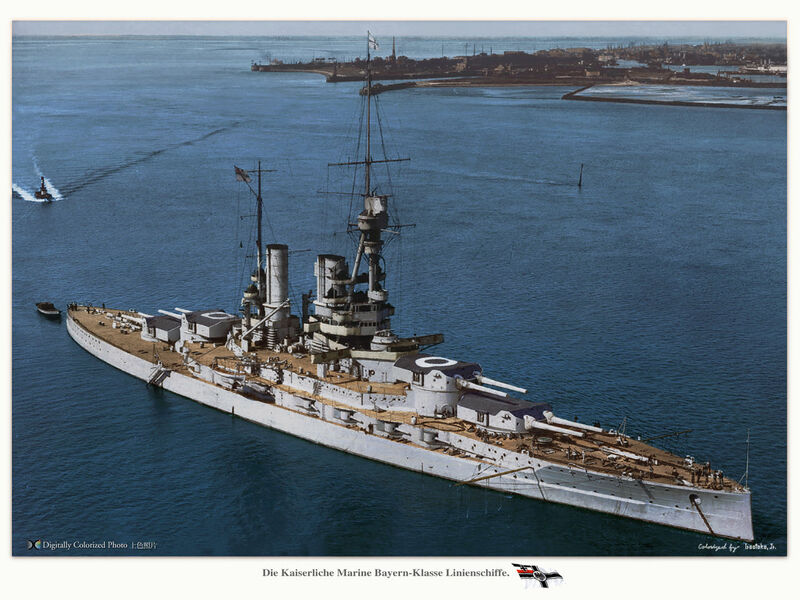 If the Helgoland were basically extended Nassau, the Kaiser class has a new disposition of artillery. It is important to note that these guns were 280 mm (11 inches) in caliber, versus 305 mm (12 inches) standard in the Royal Navy (until the Helgoland class). Kaiser class were the first to introduce 305 mm guns in centerline position and turbines. On the opposite the Royal Navy already swapped to 343 and 356 mm calibers at that time. But German philosophy at that time was to focus on protection at the expense of firepower. The Hochseeflotte did not displayed as many ships as the Royal Navy (5 units versus 9), but this was the only second fleet to have some: France, the United States or Italy only planned, but never built these ships. These battlecruisers would be always at the forefront of naval operations in 1914-18, largely proving their efficiency. 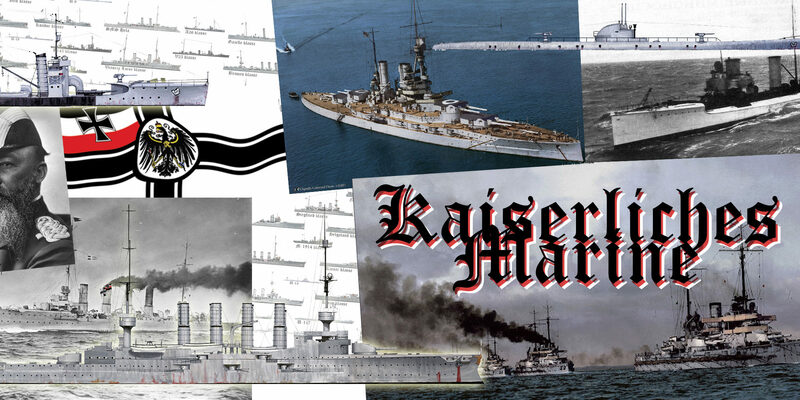 The Blücher (1908) was kind of lightweight copy of Nassau, while the Von Der Tann (1909) has a different arrangement of artillery, and both Moltke (1910) and the Seydlitz (1912) were similar to Kaiser class battleships. 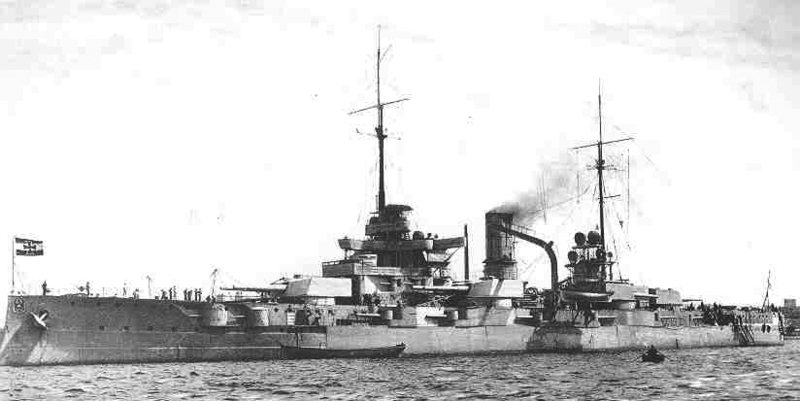 Heavy cruisers of Hochseeflotte are not only smaller than their contemporary British counterparts (Both Scharnhorst 1906 displaced 12,300 tonnes vs. Warrior/Minotaur classes being over 13 500 tonnes, 6 x234 and 4 x190 mm versus 8 x210 mm and less protection. They did not particularly shine in combat, both Scharnhorst class ships having easy victories in the Falklands in 1914 (the Battle of Coronel). Also were were commissioned much earlier the five Victoria Luise class (1897), Fürst Bismarck (1897), Prinz Heinrich (1900), two Prinz Adalbert class ships (1901) two Roon (1903) and the two Scharnhorst (1906) we saw at the beginning. Light cruisers included old units like the Gefion (1893), Hela (1895), Kaiserin Augusta (1892), used as patrol or training ships, but also the ten Gazelle (1898-1902), seven Bremen (1903-1905) and the most modern classes of the new programme, Königsberg class (5 units, 1905), Dresden class (2, 1907) made famous in the Pacific, four Kolberg class (1908), four Magdeburg class (1911), two Karlsruhe class (1912), and the two minelayer cruisers Albatros (1907). 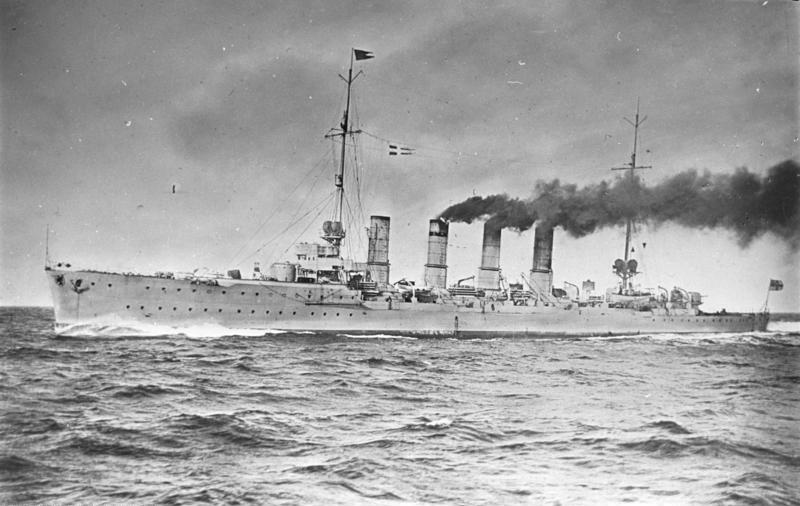 Until 1915, German destroyers struggled to stand comparison with their British counterparts. Since the launch of Russian destroyer Novik in 1911 a new standard for destroyers appeared in tonnage, autonomy, armament and speed. These new breed of destroyers was also largely driven by the need of flotilla leaders, and made obsolete overnight previous “torpedo boat destroyers” seen like a countermeasure against torpedo boats and still largely coastal and defensive in nature. The Hochseeflotte at sea. Quite a formidable force built in a short lifespan, but which remains largely untested. The British rightly seen with disdain these German “high seas torpedo-boats”, as traduced from German “Hochseetorpedoboote”. They had just enough range to operate with the fleet, but were small enough to be commanded by a single officer -a requirement of Admiral Tirpitz that spoke volumes about workforce shortages in the fleet at that time. 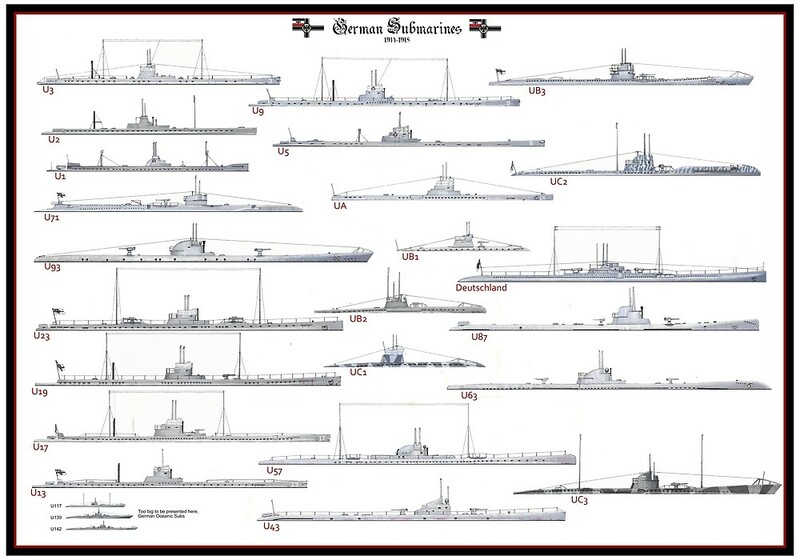 German destroyers, from the 1900 plan were constructed following slices of 6 units per fiscal year, filling a total of eight divisions or fleets. 16 half squadrons were scheduled in total. 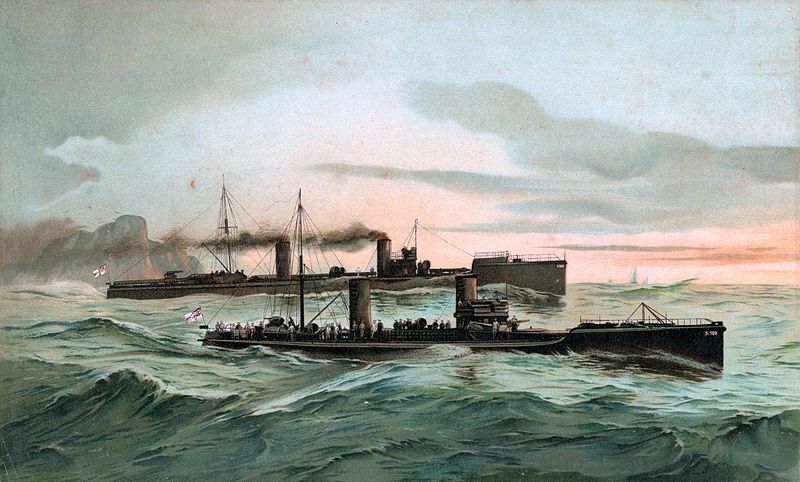 The first destroyers dated from 1898. 388 tons ships built by Schichau, preceded by the purchase and study of a single ship purchased from Thornycroft (D10) in 1896. Schichau built 12 of these, and later 6 other improved ones (388 to 400 tonnes): The S90-107 series. Germanierft alternated with 6 G108 (1900). Then Schichau followed with three groups of 6 units, the S114, 120, 126 series. The S125 (1903) was the largest of them all, a prototype announcing the 1905-06 ships. She was followed by the S138 class (12, 1906), Germaniawerft delivering its G132 and G137. (6 ships). Vulcan AG received an order for 10 other vessels (V150 class) and launched the large V161 prototype in 1908. She was followed by three V162 (1909), eleven V180 (1909), six V1 (1911), and six V25 (1914). Schichau in turn launched the four S165 (1910), four S176 (1910), twelve S13 (1911), six S31 in early 1914. Eventually Germaniawerft completed these series by nineteen G169, G192, G7 series in 1908-1911. 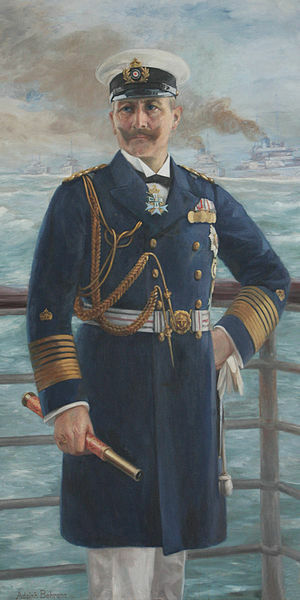 Admiral Von Tirpitz, the grand designer of the Hochseeflotte. Hochseeflotte’s TBDs were maintained in service, despite dating back from 1886-1898. All built by Schichau (ex-T11-T65 “S” and T66-89), except for two G88 and 89 by Germaniawerft. They were led by “flotilla leaders” large coastal TBDs also built by Schichau between 1886 and 1894 (D1-9). Second class T11-65, T66-89 first class).It must noted that Schichau built four destroyers for China in 1898, returned after their capture in 1900 during Allied operation against the forts of Taku. therefore, one of theses remained in service under the same name Taku in the German flotilla located at Tsing Tao, lost by bombing of the Japanese in 1914. German subs who were to play a great role in the Great War. The came all the way back from the U1 (1906), but going further back into the past we find the Brandtaucher, built by famous Bavarian engineer Wilhelm Bauer in 1850, lost during his first dive. He did not convinced the authorities despite the improvements made and it was not until 1891 that a new prototype was tried without success by Howaltswerke, in 1897. In 1902, former assistant of engineer Laubeuf, Spanish-Ecquevilley of Montjustin, was hired by the Friedrich Krupp yard (Germaniawerft) in Kiel. The Forelle, first model conceived by the new team was largely inspired by the French Narwhal, and excelled at export (3 “Karp” for Russia, U3 and U4 for the Austro-Hungarians, Norwegian Kobben). However Von Tirpitz paid little attention to this type of unit, until an inspection report showing the immense possibilities of this new weapon. He then approved the construction of U1 at Germaniawerft. Imperial arsenals OF Kiel, also received order for the the U2 in 1908. But the departure of the Spanish engineer brought the two yards to reevaluate the design as the U3, from two studies (1909, built in Danzig). Danzig and Germania Yards shared the following U5 (4 units), U9 (4), U13 (3), U16 (7), U17 (2), U19 (4), U23 (4), U27 (4), U31 (11), at the end of 1913. Approximately 40-47 in total were in service in 1914. The mass production would start a little later during the conflict. Gunboats were a few, because of the weakness of German colonial possessions worldwide. Nonetheless, three mixed colonial gunboats (sailing corvettes) class Wolf (1878), Habitch (1879), Hay and Eber (1881-1887), were in service as well as steam gunboats Iltis class (6 ships 1898), and the river gunboat Otter (1909), based in China. Although volumes were lower for heavy units (battleships and battle cruisers), there was nonetheless a considerable ongoing production effort although still inferior the UK or the US, at their peak from 1917. The most formidable weapon aligned were by far the Unterseeboote, which quickly became instrumental to fold Britain’s resolution by severing all its trade and supply network. This were Dreadnoughts, follows-up in the Tirpitz plan. The first were of the König class (4 units, launched in 1914, September, and January-February 1915, completed in 1915-1916). They had a new artillery arrangement, 10 x305 mm in with a central turret centerline, like the British units King George V, Orion and Iron Duke. However the latter had stepped up to the caliber 343 and 356 mm. With both Bayern and Sachsen classes, the caliber 380 mm was adopted directly, like the Queen Elizabeth and Resolution, in four twin turrets. These ships are a common design, and the best and last German battleships to be built before the record-breaker Bismarck and Tirpitz 1940-41 which shared many similarities. Digitally-colorized photo of the Bayern in 1918. Bayern and Baden were launched in 1915 and completed in June 1916 and February 1917. They never took part in the famous battle of Jutland. 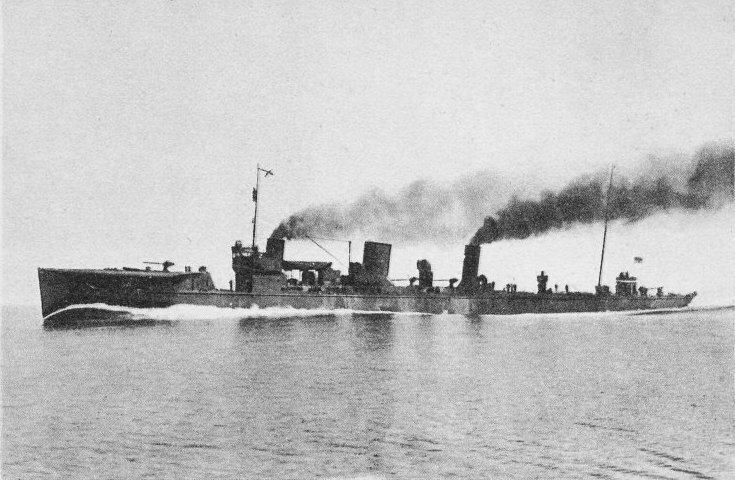 Sachsen and Würtenberg were launched in November 1916 and June 1917 and scheduled for completion in 1918, but work was delayed and later abandoned. It was also planned a new generation of “fast” battleships (26 knots against Bayern’s 21), L20 Alpha project, which exceeded 50 000 tonnes and were armed with 420 mm cannons. Their construction started before September 11, 1918 and was shortly halted. What-if German ships lover could only imagine if they would have ended in service with the Kriegsmarine, fully modernized, alongside the Bismarck class. HMS Sachsen class Battleships blueprint (cdts https://www.sms-navy.com). 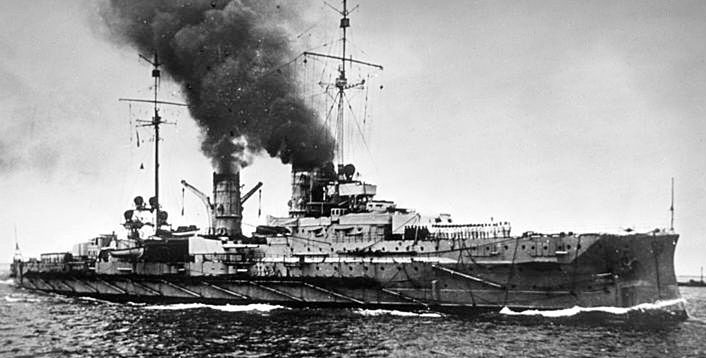 The last German battlecruisers are nowadays considered by experts to have been the best ever designed, an example to many marines for their fast battleships of the 1930s. 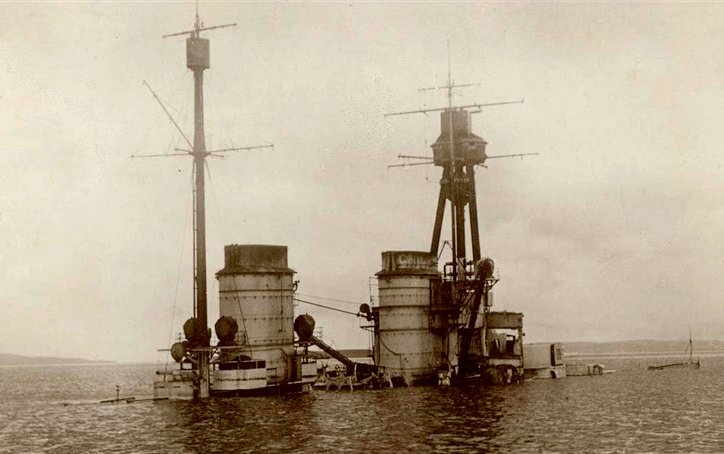 The British themselves have the Hindenburg sunk at Scapa Flow in 1919 refloated for a close and detailed examination by the Royal naval engineers corps. The ships excellent protection was superbly demonstrated at Jutland, and can be considered now as the ancestors of the “super-dreadnoughts” of ww2. Seydlitz was commissioned during the war and was the last featuring a long forecastle, while the next two Derrflinger, launched in 1913 and completed in November 1914 and March 1916 had a flush-deck. These ships were the largest and most powerful of their kind in service at 30 000 tonnes of displacement. The Hindenburg was launched in August 1915, completed in October 1917, and was a sort of follow-up. However, it was slightly larger, faster, and even much better protected. The Hindenburg is the prototype of the Mackensen class, consisting of 4 new “heavy battlecruisers” started in 1915 and launched in 1917 but never completed because of the armistice. These were significantly larger had a full 350 mm artillery caliber. Other projects of this period are even more impressive, designed to answer the British Repulse: The Yorck class was to have three ships built, of which only the first was launched in July 1916 but also abandoned. 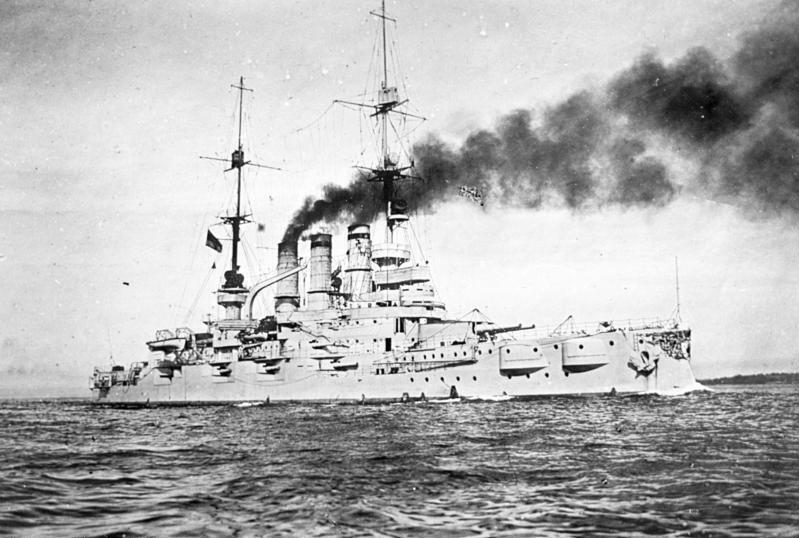 They displaced 39 000 tonnes for 8 x380 mm in twin turrets, fast battleships equivalents of the 1917 Baden and Bayern. SMS Ersatz Yorck class battlecruisers line drawing (1917 project). Only light cruisers would be built: The two Graudenz (1914-1915), two Pillau (1914-1915), two minelayers Brummer class (1916), two Wiesbaden class (1915), four Königsberg-II (1915-1916), and two Cöln-II (1918). The latter were a step ahead with 7,500 tons fully loaded, 155 meters long and armed with 8 x 150 mm guns. The last two classes were named after units lost at the beginning of the conflict. The Cöln class originally was to include ten ships, but only two were completed on seven launched. Production of Destroyers resumed with a shifting towards the end of the war to larger British and Russian standards. In 1915, a somewhat atypical serie class B 97, is designed for the Russian fleet at St. Petersburg yard, which subcontracted Blohm and Voss in Hamburg. Of course in August 1914, the four Russian units were seized and completed with German standards for incorporation. Almost twice as heavy as other units in service they were also the only ones officially called “Destroyers” (Zestörer). The G 101s were of the same ilk, but designed for the Argentine navy and also incorporated. Not until 1918, with the class S-113, the first true German destroyers were built. Many of their successors were never completed. SMS V-99 (V-97 class). Originally ordered by Russia, this requisitioned class of unusually large destroyers served as flotilla leaders. For torpedo boats, about 80 were built for coastal service, class A 1 to A 56, via the A 26, consistent with older destroyers in service. They saw an active service on the Belgian Coast. The strength of German U-boats at sea constituted the backbone of the German fleet efforts in the Atlantic, but soon also on all seas. This success was due to a staggering 370 units commissioned during the conflict (a straw compared with 1400 in the second World-War) but the allies lack of organization at the beginning of the war led to unsurpassed results for German submariners. U-boats eventually failed to suffocate the British Empire, despite a restriction-free submarine warfare in February 1917, but they neverthless had successes, hunting scores unparalleled with ww2. Lothar Von Arnaud de la Périère was an “ace”, scoring 194 kills, about 454 000 tonnes, but also famously U9 (commander Weddingen), that sent to the bottom in less than an hour the British armoured-cruisers Hogue, Cressy and Aboukir. 12.427 million tons of shipping were indeed sent to the bottom until November 1918, of which 12.404 million for Great Britain alone. At the height of the “first” Battle of the Atlantic, between 60 and 90 U-Bootes were operating simultaneously, and between 178 and 199 were lost in action. Note also that a large proportion of submarines, namely UB and UC classes, were small coastal submersibles capable of laying mines but unsuitable to long cruises in the Atlantic, reserved for the oceanic models. 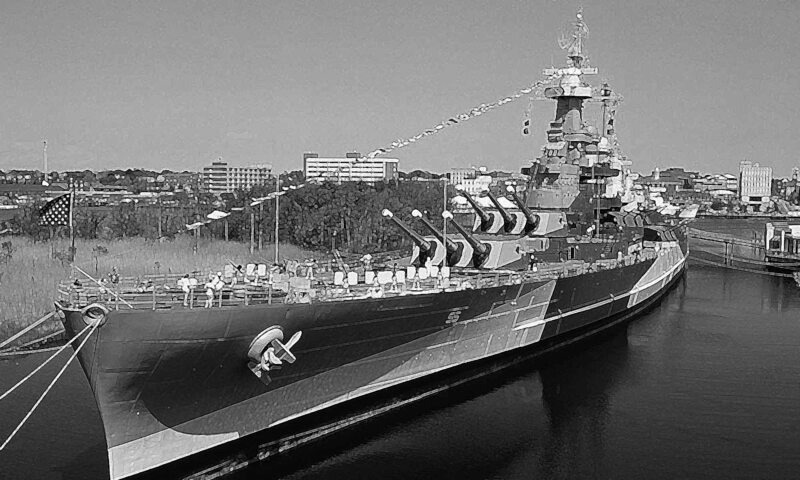 How was used this formidable weapon, the most powerful ever fielded by any continental European country before the Soviet Navy in the 1960-1990s ? Already the very night of the hostilities starting in august with declaration of war, major estuaries were mined in a pretty bold and very risky move by converted auxiliary cruiser Königin Luise. 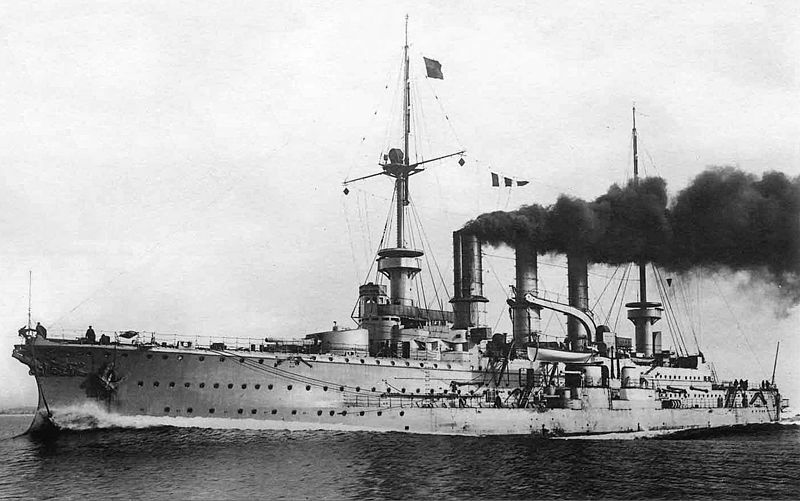 German pre-Dreadnought Battleship SMS pommern. In the Mediterranean, the Goeben and the Breslau had to escape the combined patrold of the Royal Navy, French and Italian navies. Gibraltar controlling access to the Atlantic, Admiral Souchon, Goeben’s commander and its brand new large battle cruiser had no hope to force its way to the Atlantic and back to Germany from Port Said (Egypt). For Egypt and the Suez Canal were also locked and any attempt to rally Von Spee through the Indian Ocean and the Pacific was doomed. Only remains desperate solutions, either fight or find refuge in friendly waters thos of allied Ottoman Empire. 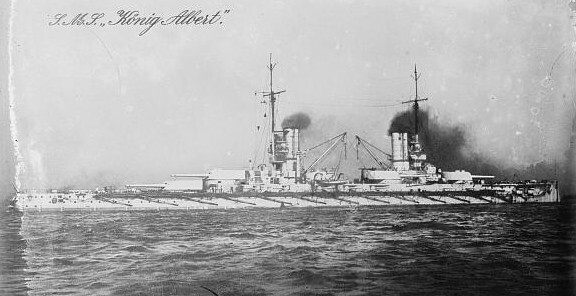 What was hailed as a feat later saw the Goeben escaping her pursuer and entering the Bosphorus to rally the Black Sea and Constantinople harbour. 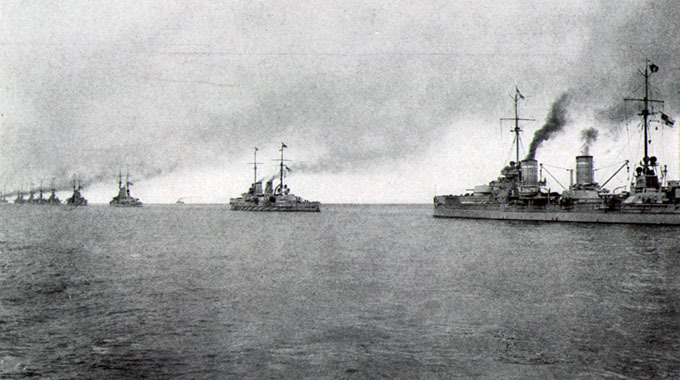 There, the two ships swapped flag, the Goeben officially renamed Yavuz Sultan Selim until the end of the war. SMS Hindenbug scuttled at Scapa Flow, 1919. Eventually the German Pacific fleet in Tsing Tao, under the command of Admiral Von Spee, also secured his men’s salvation by ordering a hasty departure from the base, under the threat of combined Japanese, Russian and British fleets. Von Spee in addition had relatively old ships at his disposal but nevertheless masterfully used them, gaining success by decimating the Falklands squadron (admiral Cradock) before succumbing to superior British forces (2nd battle of Coronel). The Emden separated from the squadron to lead a memorable corsair war, diverting pursuers (a true Odysseus). In Africa, the port of Dar-el-Salaam was an advanced base for German colonization, under the sword of Damocles of the Allied forces. The Königsberg will also lead a privateer war, with less success than in the Pacific.